The Via Norte water system improvement project will began construction on April 2, 2018 and has completed the first part of the project. The contractor is Morrow Enterprise. 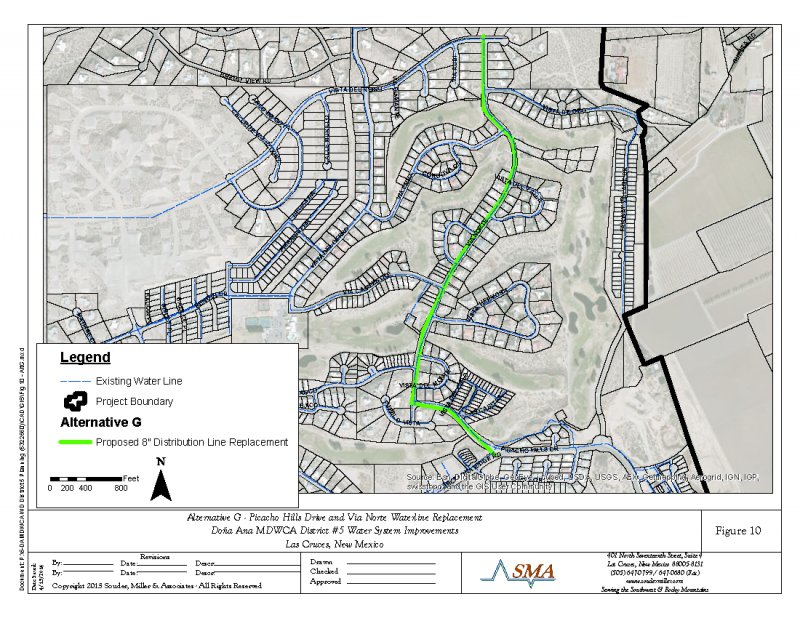 This project includes 5,670 linear feet (LF) of 8-inch waterline and related appurtenances on the following roadways: Via Norte (4,495 LF) and Picacho Hills Drive (1,175 LF) The project will also consist of 5 addtional pressure reducing valves for the system. Additional work will be completed in the area as part of this project. The Radium Springs water system improvement project will October 22, 2018 The contractor for this project will be File Construction. The funding for the project is from United States Department of Agriculture (USDA). 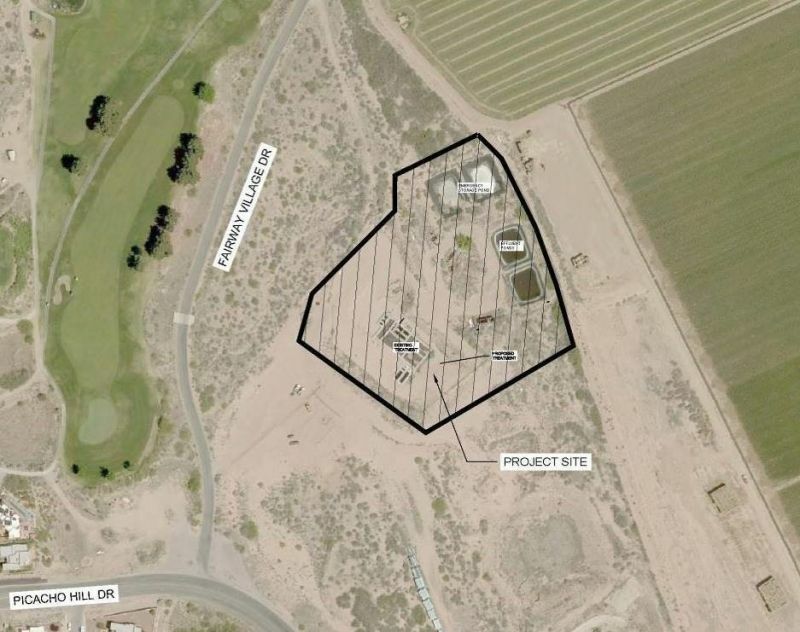 The project includes a new booster station, rehabilitation of both existing water storage tanks, over 50 new fire hydrants and approximately 5.3 miles of 8- and 6-inch water distribution and fill lines. The 5.3 miles of 6-inch and 8-inch water distribution and fill lines with related appurtenances will be installed on a few private easements and on the following roadways: De Beers Drive, Indian Trail, Frodo Place, Meador Road, Tel High Road, Fort Selden Road, Desert Edge Road, Blazing Trail Road, and Interstate 25. The District 5 wastewater treatment plant (WWTP) will begin construction November 5, 2018. The contractor for this project will be Morrow Enterprise. This project is being funding by a loan from New Mexico Enviroment Department thru the Rural Infrastructure Program. The project includes conversion of the secondary treatment portion of the facility to an Aeromod Sequox activated sludge process, additional tertiary treatment using disk filter and disinfection, additional on-site effluent storage capacity, and addition of a solids dewatering press. The project includes design and construction of improvements to meet State of New Mexico discharge permit requirements. The construction phase of this project is expeced to last roughly one year. This project is expected to begin construciton mid-October. The contractor for SE Collection Phase II will be Smith Co. This project consists of construction of a new vacuum sewer collection system including approximately 6,200 LF of 6-inch, 8-inch, and 10-inch vacuum sewer pipe. The project will also include the installation of steel casing by trenchless methods, isolation valves, valve pits, and site improvements to include roadway asphalt removal and replacement. The construction phase of this project is expected to last roughly 4 months. Should you have any questions or concerns with regards to any of these project please contact Jennifer Horton at (575) 526-3491.